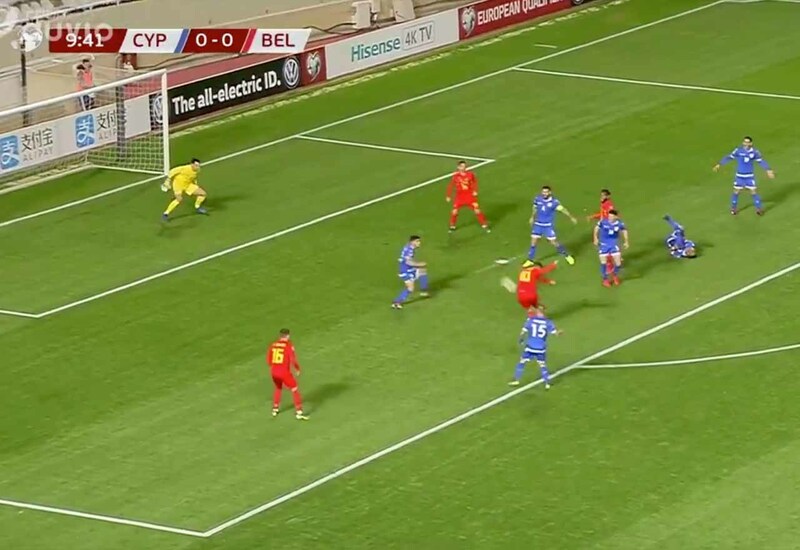 Chelsea winger Eden Hazard has hit the back of the net once again for Belgium – this time in his 100th appearance for his country. Hazard scored twice last time out for the Red Devils during a 3-1 win over Russia. That appearance took him up to the 99 mark, with him becoming a centurion this evening. The 28-year-old marked his special night with a superb finish, firing past the Cypriot goalkeeper after some smart hold-up play from our very own Michy Batshuayi. Pues golazo para conmemorar su partido número 100 con Bélgica. Hazard is behind only Jan Vertonghen and Axel Witsel in the list of Belgium’s all-time top appearance makers. He will surely be retiring top of the pile when the time comes. He has also drawn level with compatriots Bernard Voorhoof and Paul Van Himst as the second top goalscorer in his country’s history, having scored his 30th goal. Former Blue Romelu Lukaku is number one with 45. Hazard is almost inarguably the greatest player in his country’s history. Even without success at Euro 2020 or the following World Cup, he’s written his name into the hall of fame.